An exciting modern musical. In the small white-picket-fenced New England town of Eastwick, everyone knows your business. One night, three of the townswomen - bored by their mundane Eastwick lives - inadvertently summon the devilish Darryl Van Horne. He helps them develop their burgeoning magical powers and shakes up the sedate little town - seducing the three witches along the way. But is he all he seems, and how will the town react to his influence? The original Cameron Mackintosh West End production of The Witches of Eastwick starred Maria Friedman and Ian McShane and was nominated for Best New Musical at the 2001 Olivier Awards. 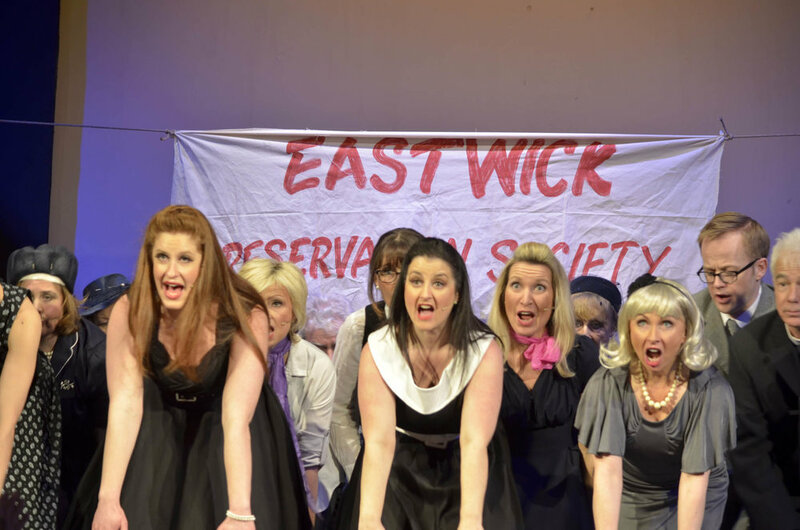 “The Witches of Eastwick”, adapted from the novel by John Updike was a reasonable success when it first opened in London in 2000 but despite several adaptations to suit various venues and touring companies it never really made it into the annals of great stage shows. 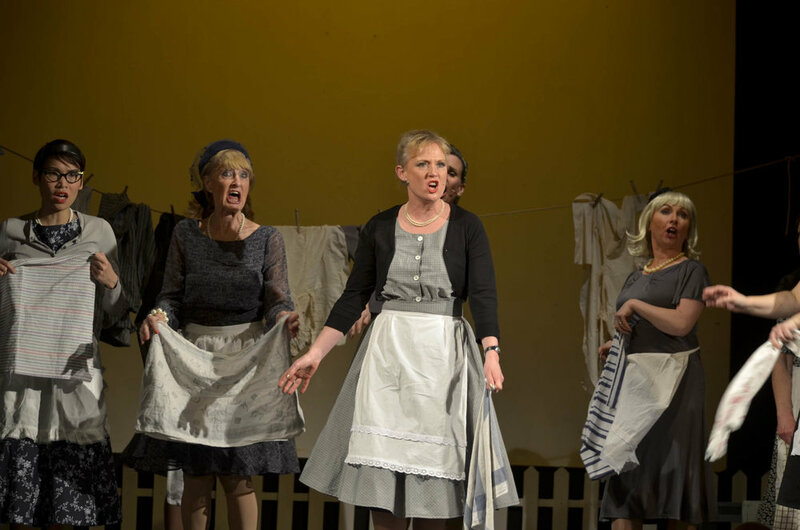 Many amateur Societies though have picked it up and successfully run with it and Saffron Walden Musical Theatre Company can now add their name to the list. Three women, bored with their lives in the small town of Eastwick and longing for excitement, think they have found the answer to their dreams and desires in the shape of newcomer, Darryl Van Horne. Sensing the women’s frustrations Darryl seduces all three, persuading them that they have powers he can help them unlock. Eventually the women realise that this stranger is a dangerous corruptor and they want him out of their lives. Louise Constable Maxwell as Jane, Rachel Glibbery as Sukie and Fiona Wilson Waterworth as Alex gave polished performances as the three women bored with their lives in small-town America and seeking an outlet for their desires. 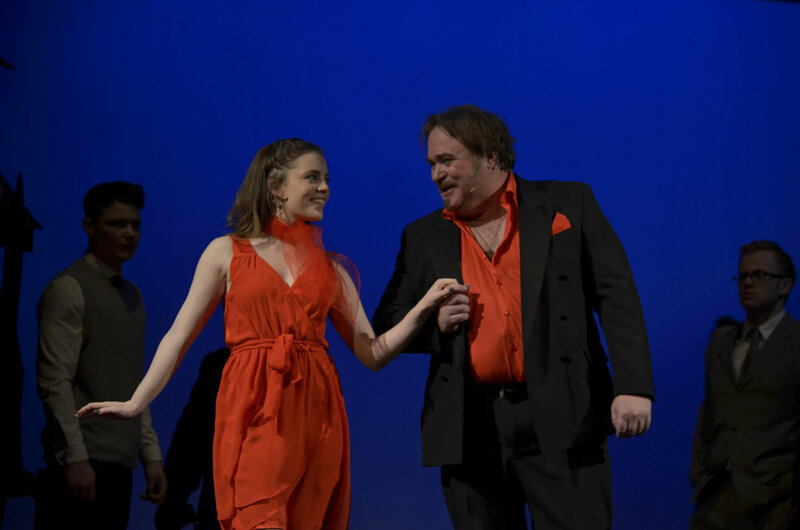 Steve Waring gave an excellent and at times quite sinister interpretation of the charismatic Darryl Van Horne, the newcomer in town who draws the women into his web of seduction and intrigue. There were good performances also from Jane Chate as Felicia Gabriel, taking it upon herself to protect the good name of Eastwick and Will Taylor as Alex’s son Michael and Jess Kambitsis as his girlfriend Jennifer. The two young people reminding us that despite Darryl’s corrupting influence, innocent love can still blossom in Eastwick. 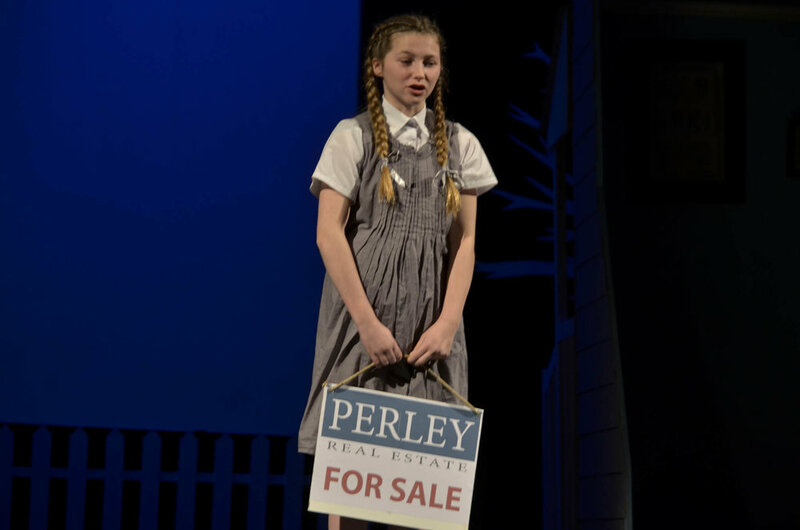 A special mention here for Sophie Waring as the unnamed little girl who opens the show by trying to tell us about her beloved home town as seen through the eyes of a child. Nicely acted and sung. This is a powerful, sexual and at times dark musical which poses the question – can good ever come from evil? Strong leading characters, supported by an excellent chorus of numerous townsfolk made for a very enjoyable evening’s entertainment. There were one or two microphones which appeared not to liven up on cue but that was a minor thing. The orchestra was at times very loud and almost drowned out some of the singing. Unfortunately it is often difficult to get the balance right in a venue not built for theatrical performances. 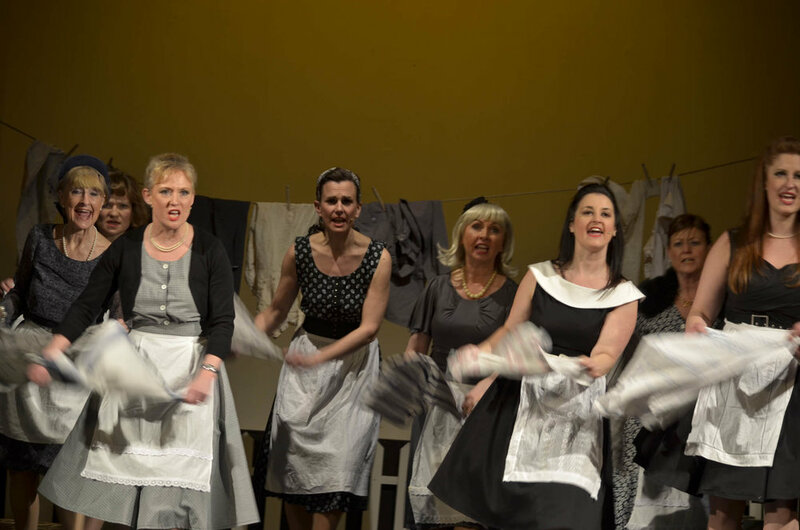 Despite having to replace one of the principal characters on the run up to the show, and a keyboard player on the night, the Production Team managed to put together a thoroughly enjoyable show. Congratulations to everyone involved. Thank you for you inviting me.